Say hello to instantly radiant and bright skin with this easy, 2 ingredient Brightening Face Mask Recipe. Free Printable Labels for DIY gift giving. Every holiday season, I enjoy making Homemade Christmas Gifts for the people in my life who have been a blessing to me and my family. This year I got a little creative with one of my favorite face masks. 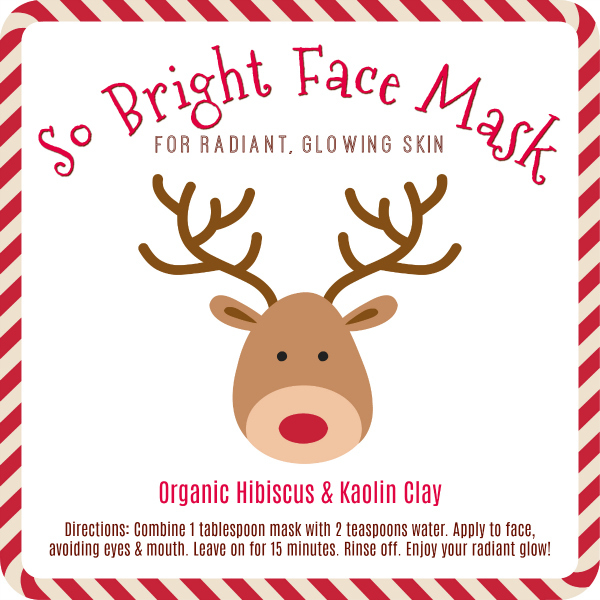 I’m loving how adorable this Brightening Face Mask Christmas gift turned out! I can’t wait to give out these cute little gifts this year! I even made you some free printable labels (Holiday labels) to make gift giving easy. Cute, eh? You can download the free printable labels PDF HERE. 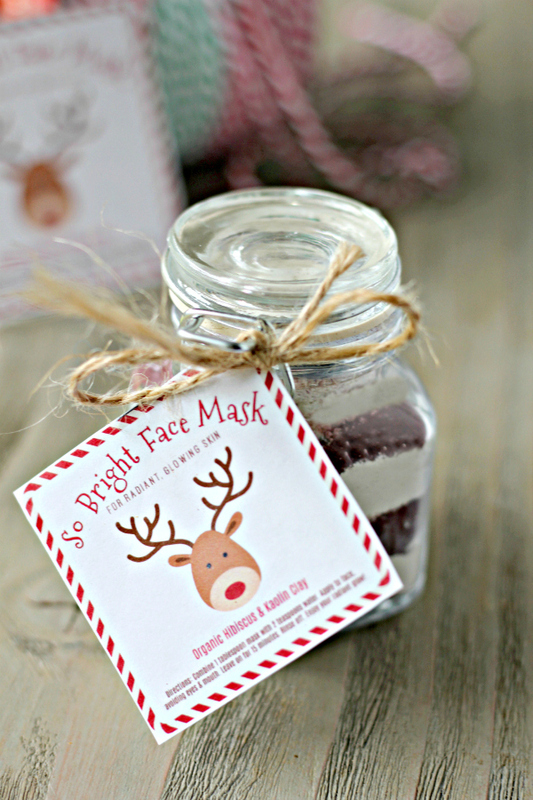 Not only is the gift super cute and simple to make, but this Brightening Face Mask is seriously the bomb. I’ve been using homemade clay masks for years and love what clay has done for my skin. Clay makes my skin so clear, smooth, soft and radiant. Love! 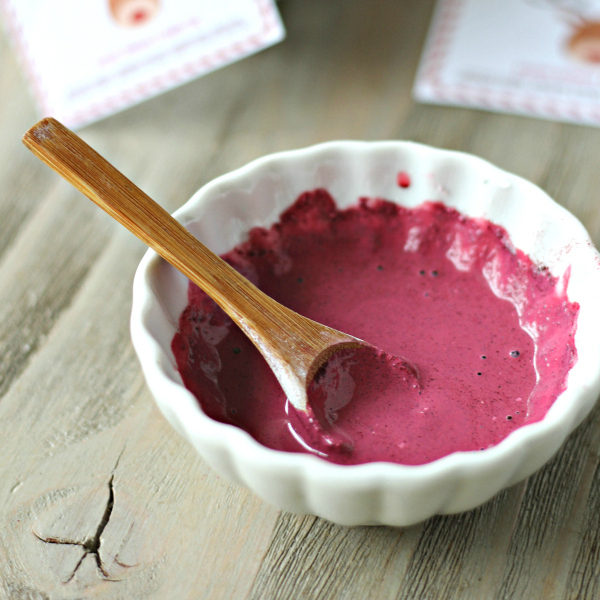 But this Clay Brightening Mask recipe is a bit different….and dare I say….even better?! I think so! That’s because I added a bit of hibiscus powder to the clay. And hibiscus powder is like a miracle worker for the skin! Here’s why…. Did you know that hibiscus is known as the natural Botox plant? It’s true! Skin experts confirm that hibiscus contains oligopeptides which have been shown to have dramatic wrinkle smoothing properties! In Ayurveda hibiscus is well known to soothe and bring out the natural glow of the face. It’s high in alpha hydroxy acids which promote smooth, bright and younger looking skin. 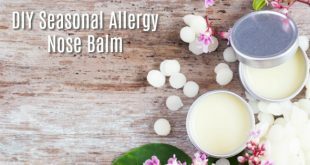 And it’s even been used successfully with eczema and other skin ailments! That’s some serious flower power! 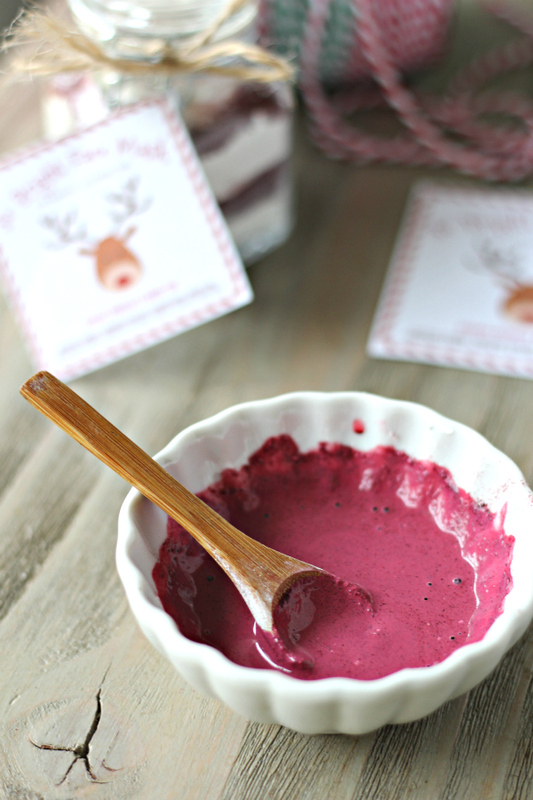 I use THIS organic Hibiscus Powder – I love how bright it is! 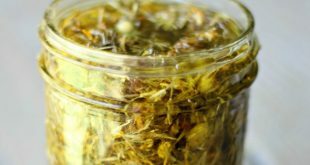 Kaolin Clay is the other star ingredient in this Brightening Mask recipe. I opted to use Kaolin Clay because it’s the gentlest of facial clays and suited for all skin types. It’s even gentle enough for sensitive and mature skin. I use THIS Kaolin Clay. Enjoy that beautiful, glowing skin! 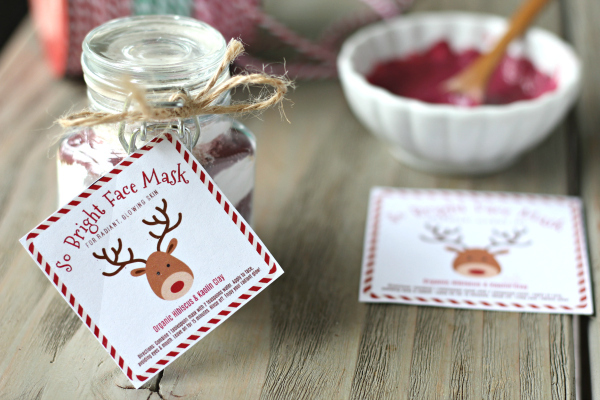 Brightening Face Mask Recipe with Free Printable Labels - get an instant radiant glow! Mix together 3 parts Kaolin Clay to 1 part Hibiscus Powder. Store in an airtight jar. Keeps for 2 years. 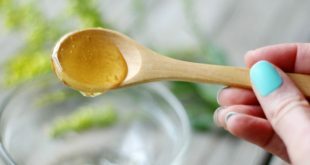 Mix together 1 tablespoon mask with 2 teaspoons water until it forms a smooth paste. Apply a thick layer to the face using circular motions. Leave mask on for 15 minutes. Rinse well. Apply moisturizer and enjoy that soft, glowing skin! Click Here to download the free printable labels PDF. To make a cute gift presentation, I layered the Kaolin Clay and Hibiscus Powder in the jar so it looks like a candy cane 🙂 I use THESE jars. 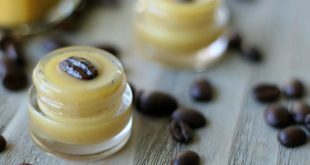 Looking for more Homeamade Christmas Gift recipes and ideas? Click HERE to see my favorite DIY Christmas Gifts! I didn’t know hibiscus was great for the skin either!